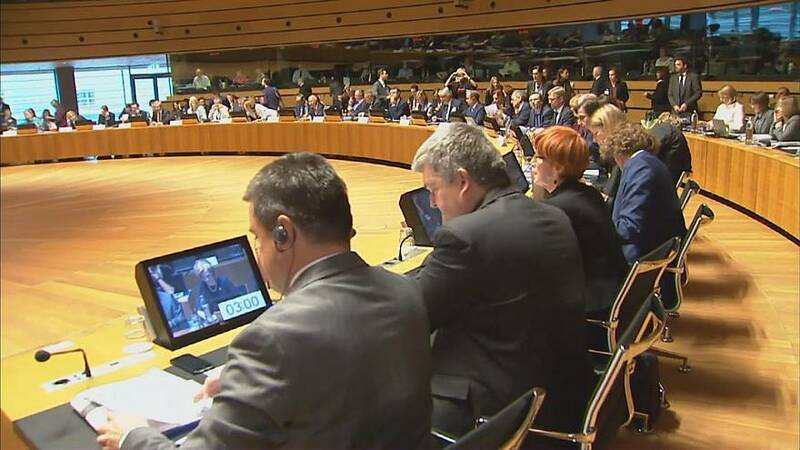 It took a gruelling 12 hours of negotiation, but European states have finally agreed to reform rules on the nearly 2 million workers posted abroad within the EU bloc. France’s Emmanuel Macron was behind changes to current regulations, which he claims harm French workers by allowing companies to pay posted workers more than they would get at home, but less than locals. Hungary, Lithuania, Latvia and Poland refused to back proposals altogether. These poorer members of the bloc want their workers to be able to compete on the basis of lower wages after years of lagging behind in the wake of the communist legacy. They say the reforms amount to protectionism. Protection for French workers is, however, exactly what Macron wants as a sweetner to controversial labour reforms at home. He is backed in this by Germany, Belgium, Luxembourg and the Netherlands, among others. The French President had conducted a tour of eastern Europe over the summer in a bid to get countries to sign up to his plans, and some such as Bulgaria and Slovakia backed the agreement. Parts of the transport sector were exempted from the plans after Britain, Croatia and Ireland abstained on the basis that the deal would harm an industry of great importance to them. Earlier this year Violeta Bulc, European Commissioner for Transport, said that truckers’ salaries are “one of the main causes of tensions between low-wage and high-wage countries”. “The transport sector is a special case because of the industry’s mobile nature. There are several texts on the sector being discussed which will detail exactly how it will be applied,” explained an official at the French President’s office. The final, compromise, deal, will see postings limited to a maximum of 18 months, with a four-year transitional period from the date on which the deal is signed.